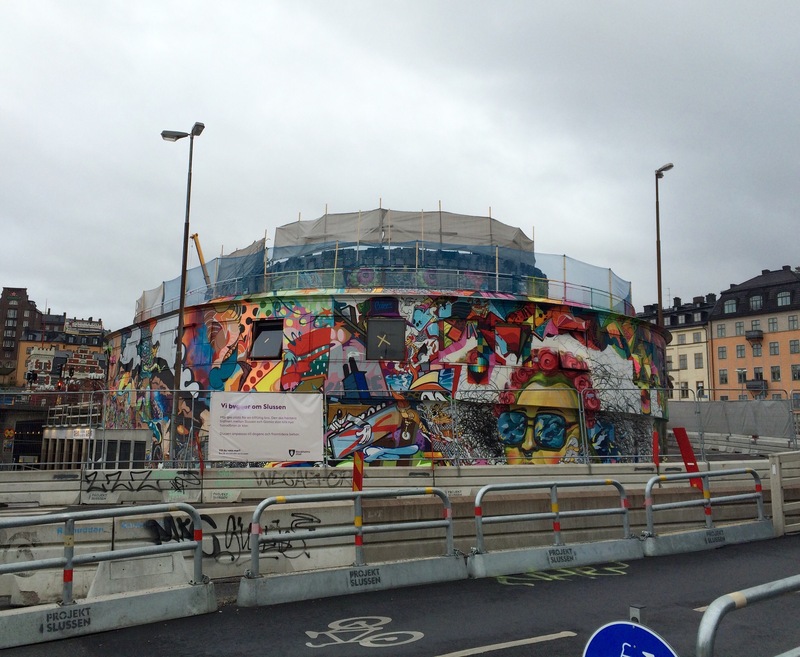 During my quick stop in Stockholm, Sweden I came across this piece in the city center. Sadly, I could not get a closer picture since it was under repair. 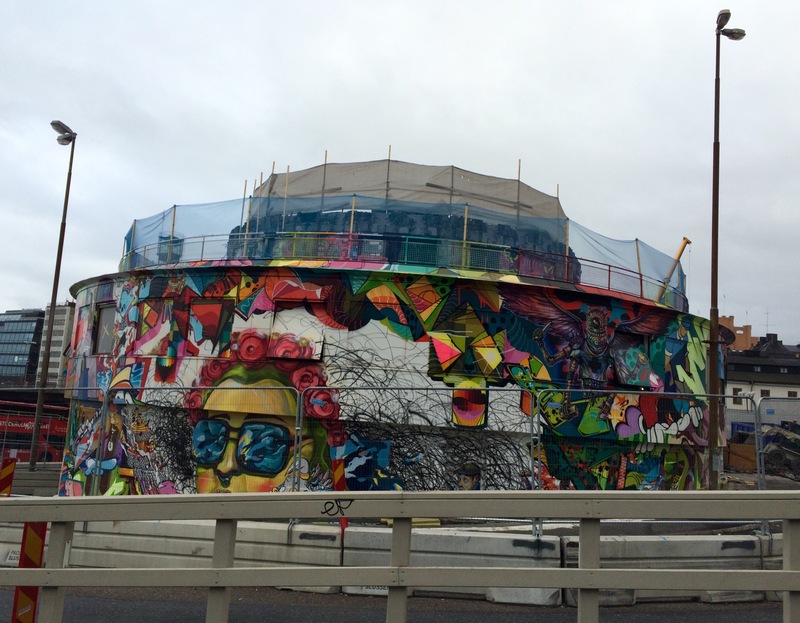 Feel free to comment if you know the artist or any info about this vibrant street art.